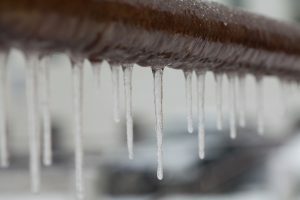 Winter Plumber Woes to Prepare for Now | Reliance Plumbing Sewer & Drainage, Inc.
Hopefully, you’ve never had to deal with this issue and already know the preparatory steps to take. However if you’re new to the Midwest, or have just never thought about it, preventing frozen pipes is a big deal. It’s not so much the freezing part you have to worry about, but rather what happens as that ice thaws. It creates a pressure buildup within your plumbing system until eventually you have a burst pipe. Turn off the water supply to your outdoor water sources, such as your hoses and sprinkler system. Drain excess water, leave the faucets open, and place insulating caps on them. Insulate your exposed pipes (including those in your basement) with sleeves you can buy at the store, or towels. Leave your cabinets open to allow the warmth from your heater to reach the plumbing underneath your kitchen and bathroom sinks. We get it—you’re probably wondering, “how do I prepare for clogged drains?” Well, by preventing them to begin with. While there are certainly extenuating circumstances at times, overall it is possible to prevent the worst of clogged drains. As a holidays approach (yeah, they’re going to be here before you know it) it’s especially important to look at how we’re treating our kitchen plumbing. With big meals and family gatherings, in a rush it’s very tempting to put anything and everything down that garbage disposal and sink drain. But things like FOG (fats, oils, and grease) as well as food items such as potato skins, eggshells, pasta, and rice, can cause stubborn clogs that necessitate repair from a professional plumber. And before you reach for that bottle of chemical drain cleaner you bought at the store, keep this in mind—those drain cleaners are comprised of caustic materials that can actually eat away at your plumbing pipes, leaving you with repair needs later on that you wouldn’t have had otherwise. There’s nothing like a hot shower on a cold winter morning, right? Well unless you take proper care of your water heater, you run the risk of waking up one day to nothing but chilly water. Water heater maintenance once a year is the best way to avoid this catastrophe. If you have a traditional storage tank water heater, this is especially important, as during maintenance our technicians check the corrosion-consuming anode rod to ensure that your water heater tank is not suffering from corrosion itself.